At night the crying and wailing was so bad that the guards started to shoot into the cars. Photo taken on April 30th, 1945, one day after the liberation of Dachau. 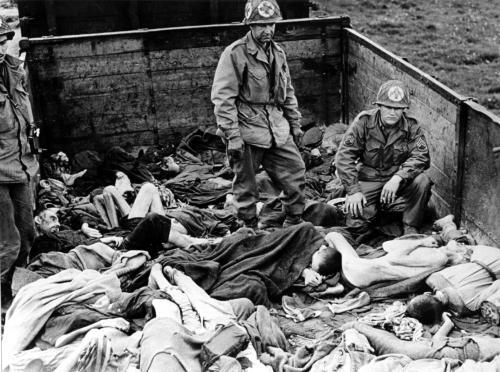 American medics inspect the dead bodies in an open cattle wagon of a transport that has arrived from Buchenwald. Source Donald E. Jackson, 40th Combat Engeneer Regiment.